Some time ago I wrote a post about a very pretty jewel or bird found in Bocas del Toro, the Olive-backed Euphonia (Euphonia gouldi). 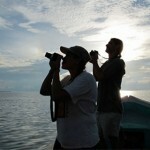 Today I´m talking about another bird that is one of the favorite specialties for birders visiting Panama. 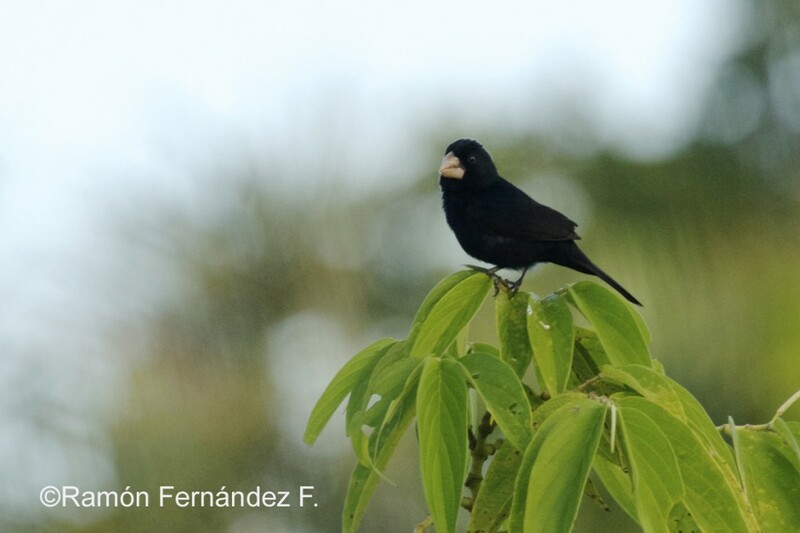 The Nicaraguan Seed-finch (Oryzoborus nuttingi), because it is found in a very small area of the Bocas del Toro province. It has a range of distribution, that goes from the Caribbean lowland of Nicaragua, the North and East of Costa Rica and a small part of the Western Caribbean side of Panama. The male has a distinctive big and light pink color beak that contrast on his black body, the female has a black beak with a reddish-brown plumage. This entry was posted in Birding, Photographs, Western Caribbean Slope and tagged Nicaraguan Seed Finch by Natalia. Bookmark the permalink.